Fans of The Hitchhiker’s Guide to the Galaxy will also appreciate the titel of the article: Restaurant at end of universe not so far off. And as I grew into an adult, and my political views took shape, I treasured “Star Trek” as a dream of what my country could one day become — a liberal and tolerant society, unafraid to live by its ideals in a dangerous universe, and secure in the knowledge that its greatness derived from the strength of its ideas rather than the power of its phasers. Kirk, for me, embodied an American idea: His mission was to explore the final frontier, not to conquer it. He was moral without moralizing. Week after week, he confronted the specters of intolerance and injustice, and week after week found a way to defeat them without ever becoming them. Jim Kirk may have beat up his share of bad guys, but you could never imagine him torturing them. A favorite quote: “We’re human beings, with the blood of a million savage years on our hands. But we can stop it. 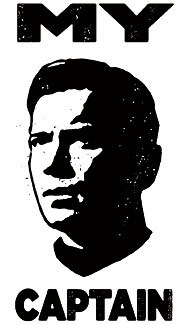 We can admit that we’re killers, but we won’t kill today.” Kirk clearly understood humanity’s many flaws, yet never lost faith in our ability to rise above the muck and reach for the stars. “Star Trek” painted a noble, heroic vision of the future, and that vision became my lodestar. The DVD’s of the second season of Doctor Who will be released in the United States on January 16, 2007, after the completion of the second season in the United States. The content will be identical to the British release in November. The writer added that he would not be using forests and quarries as stand-ins for alien landscapes, as was often the case in classic Doctor Who episodes. “The mockery we would get walking into a forest and saying that we’re on the planet Zagfon! In other words, Doctor Who is a low budget show, but in many ways that has always been part of the fun. It is a shame that modern audiences are too sophisticated for the short cuts television could get away with in the past, and are missing out on this fun. A proposal is being considered in California and other states to end the system in which a President is elected based upon the number of electoral votes won as opposed to the popular vote. This may very well be a worthy goal, but the means raises concerns. The scheme would have a number of states agree to award their electoral votes to the candidate which wins the popular vote nationally, regardless of who wins their state. If enough larger states do this, the electoral college will be thrown to who ever wins the popular vote regardless of whether the entire country approves the change. There are many valid reasons to support a popularly elected President as opposed to the electoral college. Candidates might compete for votes everywhere rather than a handful of swing states (or perhaps it would be worse if they stuck to the most densely populated areas). It isn’t worth debating this based upon who you desire to win as the results are unpredictable. I recall in 2000 people were discussing the possibility of George Bush winning the popular vote but losing the electoral college since he might win by a larger margin in the southern states than Gore would win in the northern states. Instead the opposite happened. In future elections Republicans might have an advantage due to the higher winning percentage for Republicans in the south, but in the long run this might help the Democrats as Howard Dean’s fifty state strategy would make even more sense if Democrats would benefit by increasing their percentage by five or ten percent regardless of whether they actually won a majority in southern states. While the goal is admirable, I am disturbed by the means. We are already faced with a problem where a large percentage of the voters do not accept the results of elections, which is a very serious problem if we are to maintain a democracy. While Democrats have been complaining the loudest lately, the Washington Senate election last year showed that Republicans would do the same if they lot by a narrow margin. Justified distrust after the 2000 election leads many Democrats to accept even the weakest arguments for a stolen election in 2004, while Republicans ignore the actual acts of voter suppression which did occur. Each side looks at the convictions for voter fraud from the other party and sees a one-sided conspiracy from the other party. Election reform to be successful must be a bipartisan effort coming from honorable people of each party who support fair election as an end it itself. Instead we have a situation where each party sees the other side’s complaints as an attempt to tamper with the results or deny the other party their victory. With distrust at such a great level already, we cannot afford to create even more controversy over the results. If this system passes in enough states, the first time it results in a different winner than under the current system this will be yet one more reason people will not accept the results. We must have nation wide and bipartisan agreement as to the rules, and the rules must be in accordance with the Constitution so nobody can question their legitimacy. It would be much safer if any change in how elections are decided was accomplished by a mechanism accepted by all as legitimate, such as a Constitutional amendment. Other blogs discussing this (left and right): Althouse, Daily Pundit, and Blue Crab Boulevard. I hope Craig Crawford is writing tongue in cheek, or at least with a feeling of obligation to be politically neutral, in his review of The Greatest Story Ever Sold: The Decline and Fall of Truth From 9/11 to Katrina by Frank Rich. The expected response to Rich’s book detailing the misinformation campaigns of the Bush Administration would be outrage. Instead Crawford almost commends Bush for his successful use of such strategies. But while President Bush’s political gurus will likely quibble with certain items in Mr. Rich’s bill of particulars. . .they have every reason to gloat in response to this recitation of their tactical maneuvers. After all, so much of what Mr. Rich details –and deplores –worked well for the Bush White House, at least in winning the short-term gains they were seeking in each of the episodes presented. The truly cynical political operator, whether Republican or Democrat, could read this book as a manual for how to use deception, misinformation and propaganda to emasculate your enemies, subdue the news media and befuddle the public, and not as the call to arms for truth that Mr. Rich seeks to provide. When he sets his jeweler’s eye upon the so-called Swift-boating of the 2004 Democratic presidential nominee John Kerry, for instance, future candidates for office get point-by-point instruction on how to turn a campaign liability into an asset: in this case how someone with no combat experience can successfully run on national security issues against someone who was actually shot on the battlefield. The gambit of course worked. The president won re-election in 2004, thanks in no small measure to the seeding of doubts about one of Mr. Kerry’s major assets in that wartime campaign: his own combat record. The claims of the Swift Boat Liars so clearly differed from all documented evidence, and were so thoroughly refuted, that only those blinded by extreme partisanship could not recognize these as outright lies. The Bush Administration knew that the Bush-worshippers in the blogosphere and right wing media would parrot their lies, on this and every other matter, regardless of the evidence. Too many people in the general public, bombarded by an endless stream of misinformation, are just too overwhelmed to check all the facts. Modern technology allows for many ways to both disperse both information and propaganda. Hopefully the information provided by people like Frank Rich will allow more to see through the propaganda, as opposed to being used as a source for ideas by future Administrations which desire to deceive the public.